Countdown to the Holidays is on! Need a little help picking out the best all-natural gifts? Look no further: we’ve put together a gift guide with our all-time favorites for you. Whether you’re a wellness-lover yourself or have one in your life that you want to fill with joy and delight this holiday season, we’ve got you covered. Here are some of our favorite gift ideas to inspire health and happiness! 1 – Juniper Ridge Coast Gift Pack: Transport yourself to the Californian coast- surrounded by minty ocean mist, gardens of wild sage and black soil pines. Includes the Big Sur Trail Soap, Big Sur Trail Resin and Cedar Incense all neatly wrapped in a hand dyed cloth bag. 2 – Lifefactory Glass Bottle: Reusable, light and fun to look at, this glass bottle will be your new favorite beverage vessel. We love the fun colors and that you get to pick what kind of lid you’d like: straw, sip or bottle neck. 3 – Spoonk Space Mat: We use this acupressure mat as a great way to relax our backs and necks. We know it’s needles but we promise it’s relaxing once you get used to it. 4 – Saje Wellness Travel Set (limited edition): This all-natural remedy kit has everything you need to address headaches, stomach aches or boost your immune system. We bring this along when we travel and usually apply at least one remedy a day. They just make you smell and feel so good! 5 – Manduka Hot Yoga Mat: We love hot yoga to give our body a good stretch while sweating out any toxins. The Manduka PROlite mats are thin enough for light travelling with it while cushioning you perfectly during your practice. 6 – Paddywax Candles: The newest collection of hand-poured candles with a soy wax blend (aka. Safe for kids). Our favorite one is the Vetiver & Cardamom scent that brings warmth into our office and makes it cozy for the holidays. CONTEST ALERT: We’re giving away the Saje Travel Wellness Gift Set. ← Natural gift guide for Beauty Buffs + WIN our favorite gift! 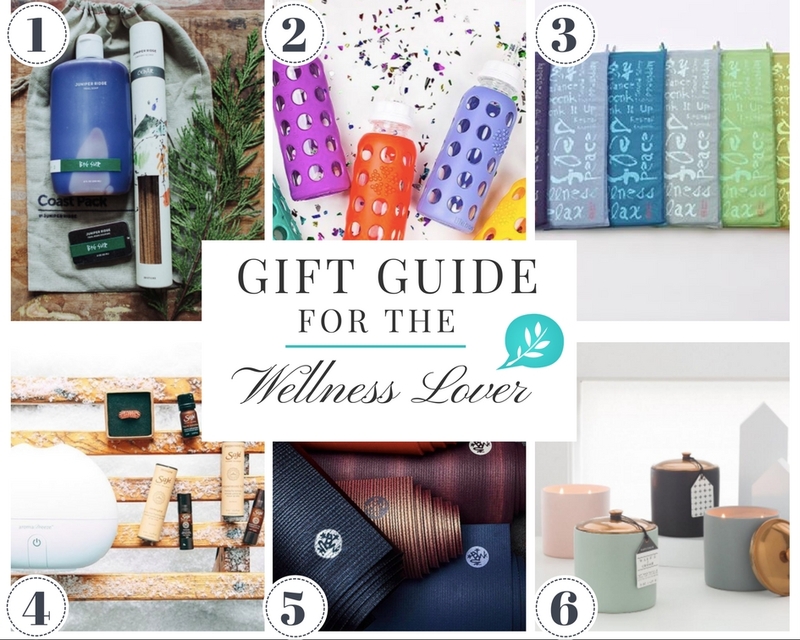 This gift guide for the wellness lover is just what my husband needs to help get him back to himself. He definitely needs some relaxation and learn to slow down. I worry about his heath, heart disease is hereditary in his family which makes him more at risk.